New Delhi: Orbis, an international non-profit dedicated to prevention of blindness and the treatment of blinding eye diseases, today launched an illustrated book on the problem of visual impairment due to refractive error in children. 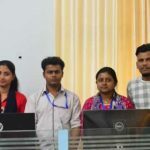 The book titled ‘The Singing Tree’ will be available in English and six other local languages and distributed to 75,000 children free of cost to spread awareness on visual impairment and its easy identification and treatment. The story of The Singing Tree is inspired by the author Kenneth Youngstein’s personal experiences as a child. The book talks about a little girl who cannot see the birds due to impaired vision and assumes that the beautiful songs she heard were sung by the tree under which she spent her time. The book also touches upon the feelings of isolation and rejection that a child with impaired vision, or any disability, may experience. It ends on a positive note where, with a simple pair of spectacles, the girl’s vision is improved, and things that held her apart are no longer a barrier to a full life. 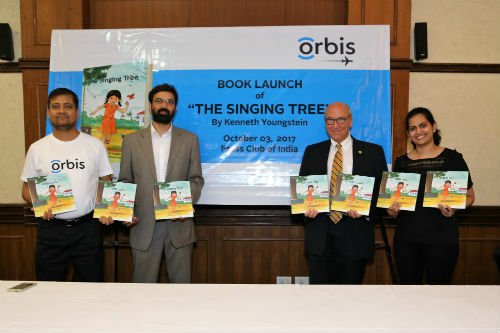 Orbis India has adapted The Singing Tree as part of its programme to reach over 3 million school children, screen and treat them for refractive error. Globally, uncorrected refractive errors account for over 80% of visual impairment among school-aged children. A problem that can be easily diagnosed and corrected with a simple test and a pair of spectacles. Still, uncorrected refractive error remains the main cause of moderate and severe visual impairment among millions of people across the globe. In India, over 9 million children are visually impaired. In the recent past, Orbis has collaborated with Room To Read, a leading non-profit focused on girls’ education and children’s literacy to publish The Singing Tree in many local languages for South Africa, Zambia and Cameroon. While Room To Read is distributing the book to local schools and libraries, Orbis distributes the book through its clinics and public outreach programmes.